Europe's automotive market is being electrified as EU regulators push automakers to add EVs to cut high CO2 emissions blamed for climate change and also reduce NOx pollutants that are choking cities such as Paris and London. The speed with which electrified vehicles in European markets varies tremendously. Germany, Europe's biggest market is falling behind its EV goals while the UK, France, Italy and Spain are prioritizing electric vehicles and EV infrastructure. Norway has proved that it is possible to get people to move to electrified models with big incentives to promote electrified mobility. More full-electric cars were registered in the country last year than anywhere else in Europe even though Norway represents only 1 percent of the region's car market. Below we look at the picture in key EU countries for EV sales. In 2010, Chancellor Angela Merkel setIn 2010, Chancellor Angela Merkel set out the goal of having 1 million electrified cars on German roads by the end of the decade. At the start of this year, there were fewer than 100,000 and a little more than half of them were full-electric vehicles. A recent government report said the target would therefore likely only be reached with a one- or two-year delay. To spur demand, the government introduced in July 2016 a purchase incentive called the Environment Bonus, which expires at the end of June next year. Each electric car qualifies for a 2,000-euro taxpayer subsidy while hybrids that emit a maximum of 50 grams of CO2 per kilometer qualify for a 1,500-euro subsidy. A key prerequisite is that the base price of the model must not exceed 60,000 euros. While roughly 600 million in federal funds were earmarked only about 100 million euros were spent after the first two years. Automakers are expected to match the subsidies euro for euro. German utility lobby group BDEW has argued that any of the remaining taxpayer funds that are not spent by the time the program expires should be invested in public charging to encourage demand. 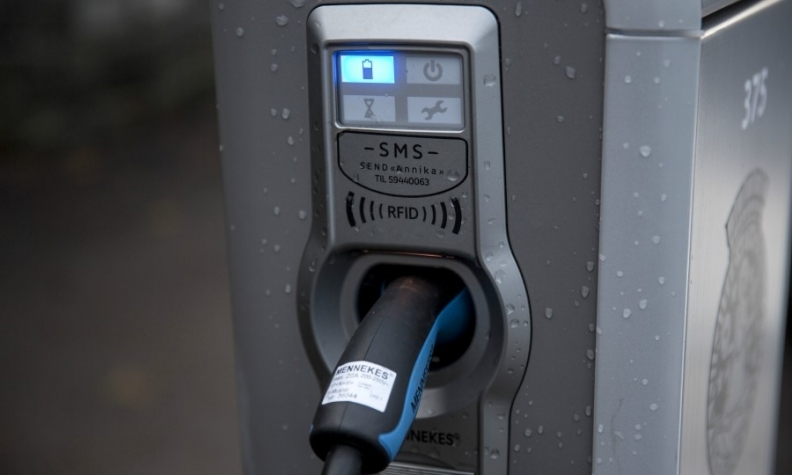 According to a study published late in June by European car industry association ACEA, there are 25,241 charging points in Germany accounting for 21.6 percent of the EU total – the second-highest tally in the EU after the Netherlands. 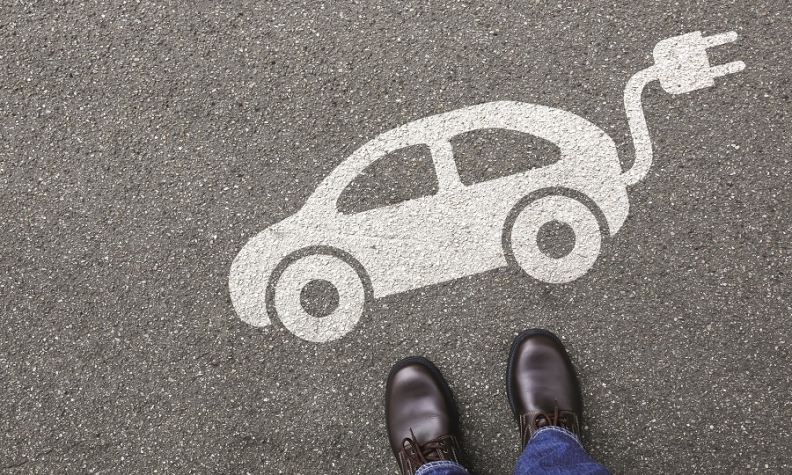 Charging points are also a big concern for the auto industry. For example red-tape holds back the installation of charging stations in buildings such as apartment blocks. Car importers complain that the Chademos standard has not been supported by the government incentives, which have targeted only the German industry's preferred CCS standard. Volkswagen Group, Daimler, BMW and Ford plan to build their own network of 400 ultrafast recharging stations across European highways via their Ionity joint venture. Oil-rich Norway was among the first countries to subsidize the purchase of electric vehicles and was also the most generous. Electric cars are exempt from acquisition tax. In addition, the country's 25 percent value-added tax is not levied on the purchase of EVs. An EV charger in Oslo. Norway offers many other incentives to encourage people to buy EVs. Fees are waived on everything from road tolls to ferries and EVs can use bus lanes. Free parking spaces for electric cars have been phased out on a national basis since 2016, but municipalities can still offer them. A fifth of all new-cars registered last year were powered solely by a battery, although cities have much higher penetration. Almost every second new car in Bergen is electric. More full-electric cars were registered last year than anywhere else in Europe even though Norway represents only 1 percent of the region's car market. By the end of 2016, there were nearly 100,000 zero-emission cars on Norway's roads. This ranked it third worldwide behind only China and the U.S., much larger markets. Sales of plug-in hybrid cars were 25,000 last year compared with 33,000 full-electric cars, but an increase in incentives led to plug-in sales rising at nearly double the rate of full EVs last year. The UK wants to be a major force in the electric vehicles market, in part to boost research and development spending in the country. The government's Road to Zero strategy calls for at least 50 percent of cars and 40 percent of vans sold in the UK by 2030 to be ultra-low emission (sub 50g/km of CO2). The government plans to ban the sale of new cars powered by conventional internal combustion engines by 2040. The UK has 16,657 public charging points, or about 1 for every 9 plug-in cars on the road. The government has established a 400 million pound (450 million euro) fund to help finance an expansion of the charging network. Currently the UK has 16,657 public charging points, according to the European Alternative Fuels Observatory, or about one for every nine plug-in cars on the road. By contrast the much smaller Netherlands has 34,832 charging locations. In the first half, 21,922 plug-in hybrids were sold in the UK, up 40 percent on the year before, compared with 7,441 full-electric cars, according to figures from the SMMT industry association. Sales of full-electric cars were down 3.3 percent during the period, but that is partly explained by the slower rollout of the new Nissan Leaf, which is built in Sunderland, England. Buyers of plug-in vehicles can get government grants of up to 4,500 pounds off the purchase price of a new Category 1 vehicle, which must have a range of at least 70 miles (113 km) on battery power alone and emit less than 50g/km of CO2. Plug-in hybrids with a battery-only range of 10 miles or more and CO2 outputs of 75g/km or below qualify for a grant of up to 2,500 pounds, but the subsidy is not available to vehicles that cost more than 60,000 pounds. Further tax advantages are available to company car drivers. President Emmanuel Macron has made developing France’s electric-vehicle infrastructure an economic priority, with the goal of increasing sales fivefold by 2020. At the same time, Paris plans to phase out internal-combustion vehicles in the city by 2030 to help cut air pollution. France has a range of incentives for EVs, and the government plans to keep them in place at least until 2022. Purchase subsidies are 6,000 euros for electric and hybrid vehicles emitting 20 g/km or less of CO2 and 1,000 euros for vehicles emitting 21-60 g/km. A diesel scrappage plan provides an extra 4,000 euros on trade-ins of diesels at least 11 years old for an electric vehicle and 2,500 euros for a plug-in hybrid. In addition, no company car tax will be imposed on electric vehicles, and hybrids emitting 110 g/km of CO2 or less are exempt for the first two years after registration. Depending on the province, annual registration fees may be waived for electric or plug-in vehicles.The number of public charging stations in France stood at 16,426 at the end of 2017, up from 10,339 in 2015. The government has set a target of 100,000 by 2020, or one for every 10 electric or plug-in vehicles in circulation. 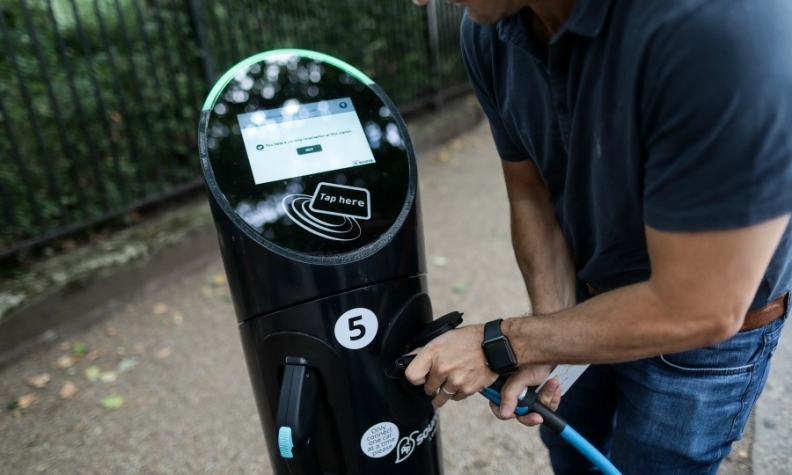 The government says it will provide a "legal and financial framework" to encourage development of the network, including the right to designate parking and charging areas for EVs. Some hiccups have occurred, however. 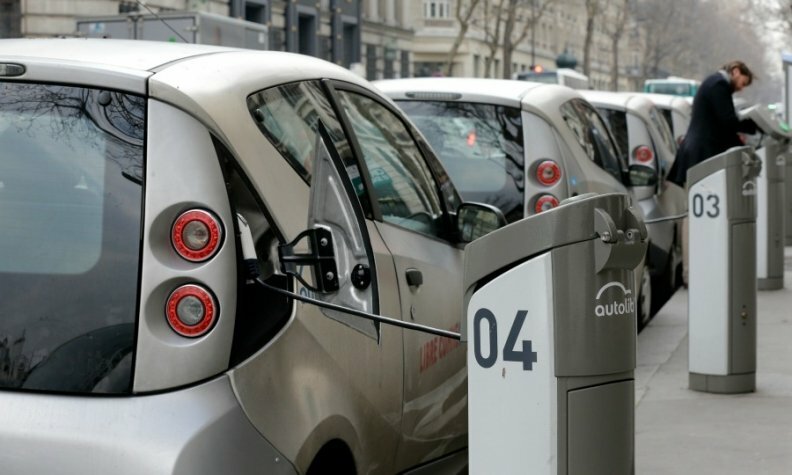 The Autolib car-sharing service, which featured electric Bollore vehicles parked at charging stations throughout Paris — stations that any plug-in vehicle can use — collapsed financially this year. The future of those stations remains unclear. Spain's charging network is set to grow rapidly. The Spanish government has promoted alternative mobility, including electric vehicles, with a number of incentive plans in the past year. The most recent was the Alternative Mobility Support Plan, approved in December 2017. The MOVALT plan had a 20 million-euro budget to help sales of various types of alternative-fuel vehicles, including those powered by liquid propane gas and compressed natural gas, full electric models and plug-in hybrids, plus 15 million euros for expanding the charging network for EVs. Incentives could reach 5,500 euros per vehicle. Not surprisingly, the 20 million euros for MOVALT were used in less than 24 hours, according to Spanish media. The recent change of government has put on hold an initiative originally planned for June with a provisional budget of 16.6 million euros. In the first half 5,906 electrified vehicles were sold in Spain, nearly double the 2,962 registered in the first half of 2017, according to the industry association ANFAC. These figures encompass full-electric vehicles, plug-in hybrids and EVs with a range extending internal-combustion engine to recharge the battery. Using the ANFAC definition for EVs, the market share was 0.8 percent in Spain, up from 0.4 percent in 2017. Spain has 5,089 charging stations, according to the latest estimate by the European Alternative Fuels Observatory. Of that total, 777 stations or 15 percent are high-power — more than 22 kw. The Spanish utility Iberdrola and the French oil company Avia plan to invest 1.35 million euros ($1.6 million) in new charging points at 27 Avia gas stations. Iberdrola also has announced a plan to install 25,000 charging points by 2021, of which 16,000 are in private homes and 9,000 at companies that would like to offer this service to their employees. Italians bought 2,249 new full-electric cars in the first half. Twice as many as in the same period last year, according to the importer association UNRAE. Market share of EVs rose to 0.2 percent from 0.1 percent. Plug-in hybrid sales increased by 60 percent to 2,119 for a 0.2 percent share. Italy is building up its charging infrastructure. It has 3,124 charging stations, according to the European Alternative Fuels Observatory’s latest estimate. About 15 percent of these are high-power -- more than 22 kw. Italy had 1,700 charging stations at the end of 2015, according to a transport ministry survey. Currently, the only nationwide incentive available to buyers of full-electric or hybrid vehicles is a five-year exemption from the annual registration tax. Some cities in Italy offer incentives. Previous Italian governments have been lukewarm in promoting battery-electric vehicles, partly because longtime national champion Fiat has not been investing in the technology and has no full-electric or plug-in hybrid vehicle in its European range. The program of the new government, formed at the end of May by the populist parties League and Five Star Movement, envisages “financial incentives to spur sales of hybrid and battery-electric vehicles.” It talks of a “national plan for recharging infrastructure.” According to Bloomberg News, Five Star leader Luigi Di Maio has set a target of putting 1 million battery-powered cars on Italian roads by 2022. No target on charging stations has been set. The state-controlled utility Enel plans to invest 100 million to 300 million euros ($116.5 million to about $350 million) to install up to 14,000 charging stations in Italy by 2022.